Conference hotels are filling up quickly – book today to confirm your space! See Hotel info by clicking the “Hotel Info” tab under the image below. Abstract submission for ARCC 2019, the 2019 ARCC Conference, is NOW CLOSED. Submitters will be notified in early March 2019 regarding abstract acceptance. Click Here to view our abstract guidelines. To Apply: The application for Student Travel Awards is now closed. Applicants will receive decision notification in mid March, 2019. The 2019 ARCC Conference will be hosted at the Halifax Convention Centre, in Halifax, Nova Scotia. **If you are a new professional (within 5 years of receiving your terminal degree) please email ARCC@cancercare.on.ca with your graduation details to be eligible for a special registration code providing a 50% discount on registration!!! Special rates have been negotiated with local hotels on behalf of the 2019 ARCC and CAHSPR conferences. Use the links below to make your reservations and get the best rates at ideal locations close to the Halifax Convention Centre. A limited number of rooms may remain for the nights of Saturday May 25th, Sunday May 26th and Monday May 27th at the Residence Inn by Marriott – 1599 Grafton Street Halifax, Nova Scotia B3J 2C3. Rate: $195/night. Book by Calling Mary-Jane Wells, Director of Sales, 1(902) 431-3114. Note the 2019 ARCC Conference when booking to secure rate. To book please visit https://stay.dal.ca/ . No group code required, all dates available. To book please call 1-888-347-5555 or email them at stay@smu.ca. Dates Available: May 25 – May 30, 2019. 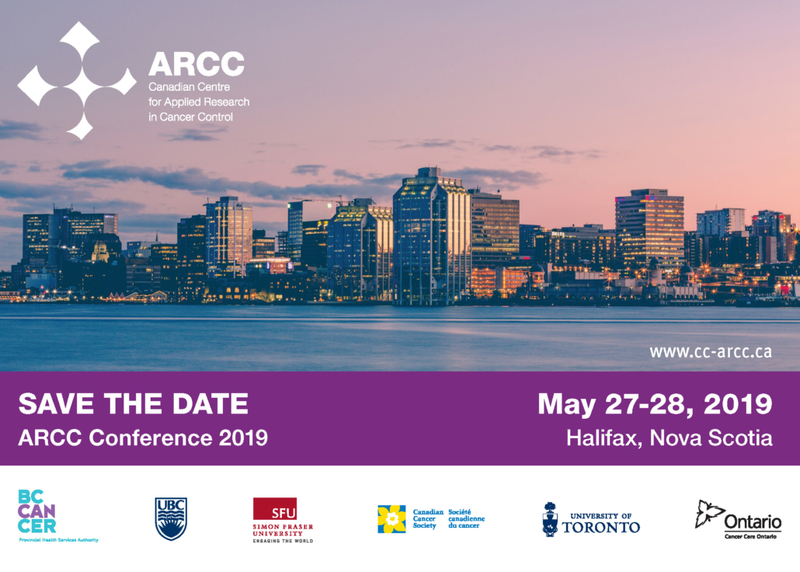 The Canadian Centre for Applied Research in Cancer Control (ARCC) is pleased to announce that its 8th annual conference, ARCC 2019, will take place from May 27th to 28th at the Halifax Convention Centre in Halifax, Nova Scotia. The objective of this conference is to bridge a connection between researchers and decision-makers, using health economics, services, policy and ethics research to improve cancer control and the delivery of cancer care. 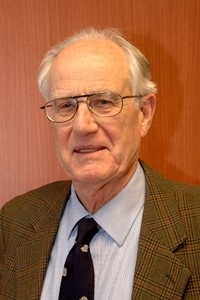 Dr. Stirling Bryan is an economist with a career-long specialization in health care. He is a Professor in UBC’s School of Population & Public Health, and a Senior Scientist at Vancouver Coastal Health’s Centre for Clinical Epidemiology & Evaluation. He served for 6 years as chair for CADTH’s Health Technology Expert Review Panel, and his ongoing UBC faculty position, sponsored by Vancouver Coastal Health, sees him working alongside policy colleagues in one of BC’s largest regional health authorities. In 2016, he was appointed Scientific Director for the BC SUPPORT Unit, a component part of BC’s Academic Health Sciences Network, focused on promoting patient-oriented research. 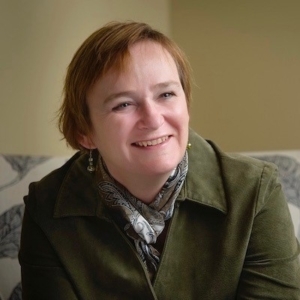 Dr. Christine Chambers is the Canada Research Chair (Tier 1) in Children’s Pain and a Killam Professor in the Departments of Pediatrics and Psychology & Neuroscience at Dalhousie University. She is based in the Centre for Pediatric Pain Research. Dr. Chambers is a clinical psychologist whose research is aimed at improving the assessment and management of children’s pain. Her CIHR-funded “It Doesn’t Have to Hurt” initiative for parents generated 150M content views worldwide, trended nationally on social media several times, won multiple national and international awards, and was featured in The New York Times, The Globe & Mail, and on CBC’s The National. Dr. 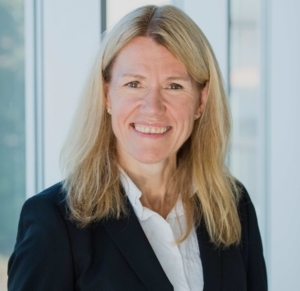 Chambers holds leadership roles in the International Association for the Study of Pain and the North American Pain School, and is a member of the CIHR Institute Advisory Board on Musculoskeletal Health and Arthritis. A leader in patient engagement and knowledge mobilization, Dr. Chambers has given numerous public presentations (e.g., TEDx talk) and is the co-lead of a recently established national network, Solutions for Kids in Pain/Solutions pour la douleur chez l’enfant (SKIP), whose mission is to improve children’s pain management by mobilizing evidence-based solutions through coordination and collaboration. Emily is a passionate and innovative public health leader. A graduate of Acadia University’s Department of Psychology, and Dalhousie University’s Master’s in Health Promotion program, Emily demonstrates high levels of academic and public health acuity. A former contributor to the Huffington Post (US) and invited public health speaker, her writing and public speaking skills have been sought out by non-profit organizations, healthcare providers and the private sector in Canada, the United States and Australia. Emily currently lives in Halifax where she runs her own consulting business (EmilyDrake.ca), works as a Research Associate in the Department of Surgery at the Nova Scotia Health Authority, as a Research Associate in Pediatrics at the IWK Health Centre and is a PhD in Health student at Dalhousie University. Prior to this she was working with Hope & Cope at the Jewish General Hospital/McGill University as the Director of their young adult cancer support program. 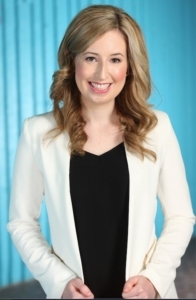 A social innovator, in 2013, Emily co-founded and continues to grow Adolescent and Young Adult Cancer Societal Movement (#ayacsm) – an active, multi-disciplinary community that is changing the way stakeholders interact and share information regarding adolescents and young adults living with cancer. Gregory Doyle is the Provincial Manager of the Breast Screening Program for Newfoundland and Labrador and the Co-Manager of the provincial Cervical Screening Program. Mr. Doyle helped establish the breast screening program in the North West Territories and the Colon Screening Program in Newfoundland Labrador. He is the Chair of the Canadian Breast Cancer Screening Network, and a member of Cancer Control Council of the Canadian Partnership Against Cancer. He has also chaired a Pan-Canadian initiative to develop evaluation indicators for Lung Cancer Screening and is currently working on developing a Lung Screening Program in Newfoundland Labrador. Mr. Doyle has been involved in cancer control and population health for many years and has contributed to a number of journal publications on cancer screening. He has Bachelor of Science from Memorial University of Newfoundland and an Master’s degree from Queen’s University at Kingston. 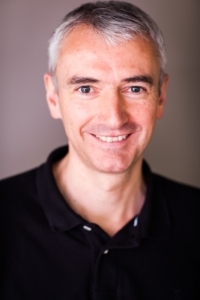 Nick joined the School of Health and Related Research (ScHARR) at the University of Sheffield in June 2008. Before this he graduated with a degree in economics from the University of Nottingham in 2003 and an MSc in Health Economics from the University of York in 2004. Nick has experience in both public and private sectors having previously worked as an Analyst at NERA Economic Consulting, a Health Economics Fellow at Queen Mary, University of London (QMUL), and a Health Economist at Roche Products Ltd.
Much of Nick’s work focuses on the incorporation of survival analysis in economic evaluations – particularly the use of statistical methods for adjusting survival estimates in the presence of treatment switching in clinical trials. Nick works closely with the NICE Decision Support Unit (DSU) and has authored three DSU technical support documents (TSD) on survival analysis (TSD14), the use of treatment switching adjustment methods in the context of economic evaluation (TSD16), and partitioned survival modelling (TSD19). He has led the Evidence Review Group (ERG) on NICE Technology Appraisals, has contributed to NICE Public Health guidelines, and has conducted several economic evaluations alongside clinical trials. 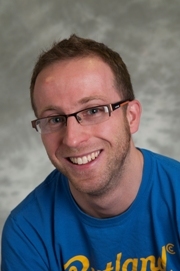 Nick has completed NIHR Doctoral and Post-Doctoral Fellowships on the topics of survival analysis, treatment switching and economic evaluation. He is currently a Yorkshire Cancer Research Senior Fellow. Nick is a current member of NICE Technology Appraisal Committee B. He has been an invited expert on the NICE Scientific Advice Programme and is a member of the Health Economists Study Group, and a Fellow of the Higher Education Academy. Nick teaches Economic Evaluation and survival analysis to MSc students. Alessandro Marcon (Sandro) holds an M.A. in Applied Linguistics and Discourse Studies with a Specialization in Digital Humanities and works as a Research Associate at the Health Law Institute in the University of Alberta’s Faculty of Law. 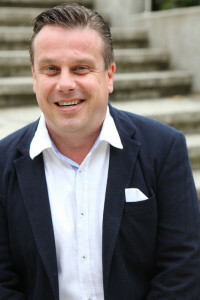 Focusing primarily on the dissemination of health information, he has lead and contributed to research projects exploring how popular and social media represent key health and science policy issues related to a wide range of topics including genetics, stem cell research, alternative health therapies, breastfeeding, vaccination, transplantation and health-related marketing. His work has been published in academic journals such as Nature’s Genetics in Medicine, The Journal of Law and Biosciences, Maternal and Child Nutrition, Regenerative Medicine and the Journal of Medical Internet Research. Dr. Robin McGee is a Registered Clinical Psychologist, mother, wife, educator, and friend. Living in Nova Scotia, she has been a dedicated clinician in health and education settings for over 30 years. It is everyone’s worst nightmare. Diagnosed with late-stage colorectal cancer after years of bungled and inadequate medical attention…and then to discover that the best-practice chemotherapy is not available in your province. Robin’s book The Cancer Olympics describes her fight for survival, medical justice, and fair chemotherapy policy. It has won seven literary awards and was listed among the best 55 self-published books of 2015. Proceeds of her book go to cancer support programs. Since her diagnosis, Robin has been very active in advocacy on behalf of cancer patients. In particular, she has been involved in provincial, national, and international initiatives aimed at improving standards of cancer care and patient safety. She has been awarded the Canadian Cancer Society’s highest honour, the National Medal of Courage. Robin was also decorated by the Governor-General of Canada with the Sovereign’s Medal for Volunteers. She can be found on the web (www.thecancerolympics.com), Facebook, and on Twitter (@TCOrobin). She is also the host of #CancerBookClub, an online celebration of cancer-relevant books and media via www.anticancerclub.com. Robin is currently in treatment for a recurrence of her colorectal cancer. Her award-winning blog integrates the cancer experience with famous rock songs. Professor Emeritus, Dalla Lana School of Public Health, University of Toronto. A physician-epidemiologist, he was trained in internal medicine, and was a member of the scientific staff of the Tuberculosis and Chest Diseases Research Unit, UK Medical Research Council, 1962-71. He was Director of the Epidemiology Unit of the National Cancer Institute of Canada 1971-86 and Chair of the Department of Preventive Medicine and Biostatistics, University of Toronto, 1992-6. He served as a special expert in the Division of Cancer Prevention, US National Cancer Institute, 1997, Senior Epidemiologist, International Agency for Research on Cancer 1998-9, Head, Division of Epidemiology, German Cancer Research Centre, Heidelberg, 2000-3, Associate Director, Research, Dalla Lana School of Public Health, University of Toronto, 2008-10. He has been a consultant to the World Health Organization. He is Scientific Lead of the OncoSim microsimulation modelling initiative of the Canadian Partnership Against Cancer. His research encompasses cancer etiology, prevention and screening. Dr. Maciej Niewada is a Professor in the Department of Clinical and Experimental Pharmacology at the Medical University of Warsaw, Poland. He is also the CEO of Healthquest, a consulting company focusing on market access and reimbursement applications. Dr. Niewada received his MD from the Medical University of Bialystok/the Medical University of Warsaw in 1997, followed by an MSc in Economics in 2000 from the Warsaw School of Economics, and a PhD in 2004 from the Medical University of Warsaw, with his thesis focused on the cost of stroke from the societal perspective. 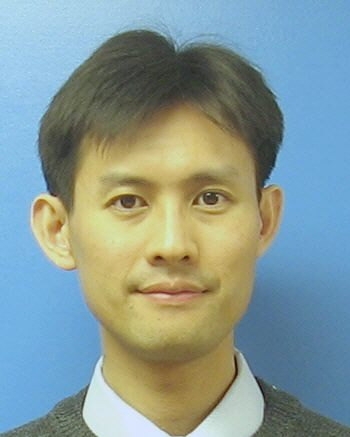 With a deep interest in health technology assessment (HTA) and health services research, Dr. Niewada has published over one hundred HTA reports, systematic reviews, and economic analyses, as well as epidemiology studies, quality of life and utility studies. He co-authored the Polish guidelines on HTA adopted by the Agency for Health Technology Assessment in Poland (AHTAPol), and works closely with the Ministry of Health and National Health Fund as an external advisor. 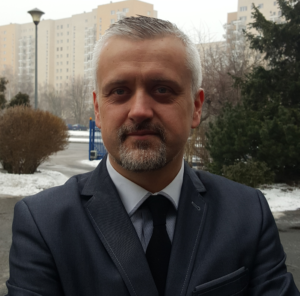 He is the founding member and current President of the Polish Pharmacoeconomic Society (ISPOR Poland Chapter), and a member of the Health Science Policy Council at ISPOR. 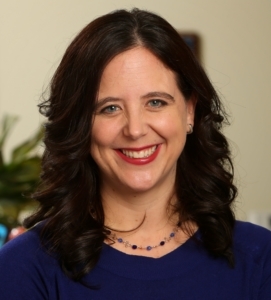 Dr. Jennifer Payne is both a Senior Epidemiologist with the Nova Scotia Breast Screening Program and an Associate Professor in the Department of Diagnostic Radiology at Dalhousie University where her research program focuses on the utilization of breast imaging procedures. For 6 years, she chaired the Monitoring & Evaluation Working Group of the Canadian Breast Cancer Screening Network at CPAC, overseeing the submission of provincial/territorial screen-level data to the Canadian Breast Cancer Screening Database at PHAC and the production of associated surveillance reports by CPAC. 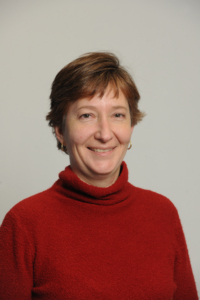 Dr Jean Seely is Professor of Medicine in the Department of Radiology at the University of Ottawa. She is a Fellow of the Society of Breast Imaging. She is Head of the Breast Imaging Section at the Ottawa Hospital, and the Regional Breast Imaging Lead for the Ontario Breast Screening Program in Champlain region. Jean Seely is an Executive Board member of the Canadian Association of Radiologists’ Breast Imaging Working group and the CAR Mammography Accreditation Program. She sits on the Editorial Board of the Canadian Association of Radiology Journal and Journal of the Society of Breast Imaging. Her commitment is to reduce the mortality and morbidity of breast cancer and provide high quality breast imaging nationally and internationally. She is President and Chair of the Canadian Society of Breast Imaging. Her research interests include Breast MRI, breast cancer screening, quality in breast imaging and patient experience. Dr Kelvin Chan is a medical oncologist at the Sunnybrook Odette Cancer Centre, an Associate Professor at the University of Toronto, and an associate scientist at the Sunnybrook Research Institute. 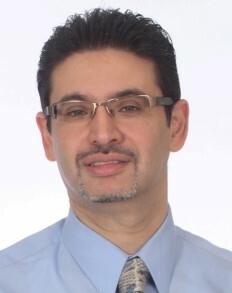 He specializes in GI oncology and Head and Neck oncology. 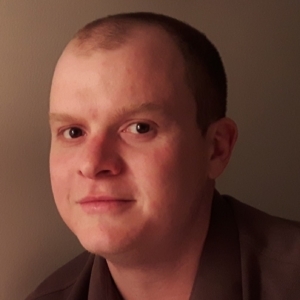 He has recently completed his PhD in Biostatistics (focusing on statistical methods in health economic evaluations) at the Dalla Lana School of Public Health, University of Toronto. As a clinical epidemiologist and biostatistician, Dr. Chan’s research interests include health services research, health technology assessment, meta-analysis including network meta-analysis, cost-effectiveness analyses, and statistical methods research in health economics. He is the Co-Director at the Canadian Centre for Applied Research in Cancer Control (ARCC), funded by the Canadian Cancer Society (CCS). Professionally, Dr Chan has an interest in cancer drug reimbursement related issues. He is a member of multiple provincial and national committees related to cancer drug assessments and recommendations including membership at the pan-Canadian Oncology Drug Review (pCODR) Expert Review Committee (pERC), the Committee to Evaluate Drug (CED) and the Interim Chair for the Ontario Steering Committee of Cancer Drugs (OSCCD), Ontario MOHLTC and Cancer Care Ontario. 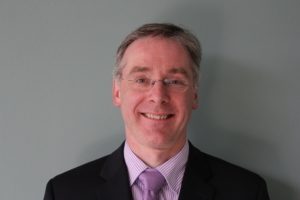 He is also the Clinical Lead for the Provincial Drug Reimbursement Programs (PDRP) at Cancer Care Ontario (CCO). 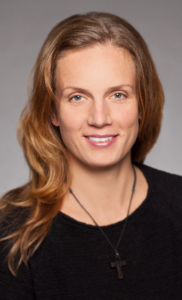 Dr. Dominika Wranik is an Associate Professor at the School of Public Administration at Dalhousie University, a health economist and health policy researcher. Her research over the past decade has focused on the remuneration of primary health care providers, as well as on solutions to health human resource shortages in Canada. In a consulting capacity, she has worked collaboratively with public sector decision makers, including Health Canada, the Public Health Agency of Canada, the Nova Scotia Department of Health and Wellness, Manitoba Health, and Alberta Health. Dr. Tallal Younis is a medical oncologist, professor in the Division of Medical Oncology, a Dalhousie University clinical research scholar, and a Beatrice Hunter Cancer Research Institute senior scientist. He is co-chair of the provincial breast cancer site team and a member of the Canadian Cancer Society Research Institute’s working group on economic analysis.